They're people we hear about often. There are stories about them in the media. Politicians and officials talk about them. And they come up in discussions in our places of worship and in conversations with friends and family. Less often we hear from the refugees themselves. The Capital Region is home to hundreds of refugee families from struggling and war torn countries around the world, and many of them have settled in the city of Albany as they work to piece together new lives in this country. 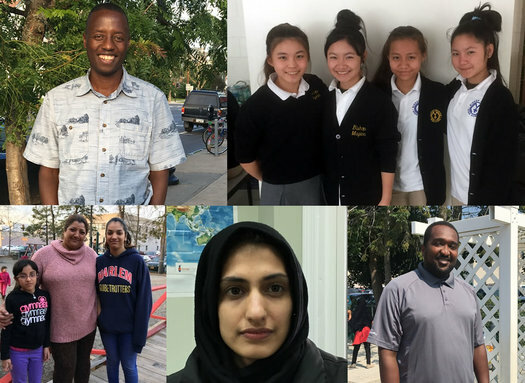 Over the last few months, a handful of refugees were kind enough to talk with AOA about their experiences in adjusting to life in the Capital Region. This week, we'll be sharing their stories -- about the places they came from, about the challenges they've faced, about some of the opportunities and joys they've found here. LOVE THIS SERIES!!! And our new neighbors! Thank you for doing this! I have been out of town, so am late to the party, but what a wonderful idea. I work at the public library right around the corner from RIISE, so we see a lot of refugees in our building. It's important to hear their stories.